Learn how to setup SPF & greylisting on Plesk 11 in this 2 minute video tutorial. See the full blog post for more tips on on SPF settings in Plesk 11. Is your WordPress blog too slow? Try these 5 tips to speed up your website and make Wordpress faster. Learn how to get the most of your Plesk server’s anti-spam settings in this 2 minute video. Learn how to enable spamassassin and real-time DNS blacklists. Ready to find a spammer on cPanel? Learn how to modify your logs to get the info you need in this 2 minute video tutorial. 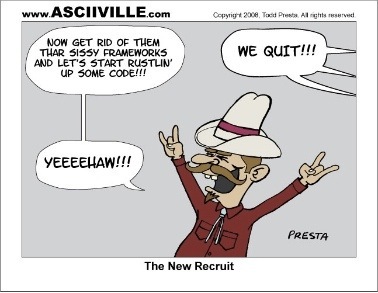 Don’t let a coding cowboy bring down your web site. Insist on these 3 simple but effective ways to improve your web development. Flipline Studios creates unique and highly enjoyable games for our legion of awesome fans.They turned to rackAID to assure their online operations run smoothly and fast. By keeping tabs on the servers with our proactive server management, the Flipline team can focus on creating games for their fans.